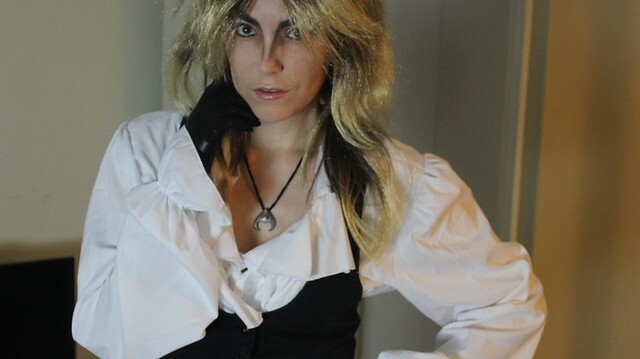 I can't believe it's taken me this long to dress up as Jareth, the Goblin King from my favorite movie of all time, Labyrinth. It's been a long time coming and I'm actually pretty happy with the result despite the 'pieced together' nature of this costume. That's right, I did zero sewing this Halloween. (Well, only if you don't count sewing the stoplight patch on my husband's Team Zissou hat...) It all started with the replica necklace. I got that back in 2007 at San Diego Comic-Con, an officially limited-edition treasure. Then the rest was found in my closet or purchased. If you're a fan then you'll recognize this as his 'Dance Magic Dance' look. 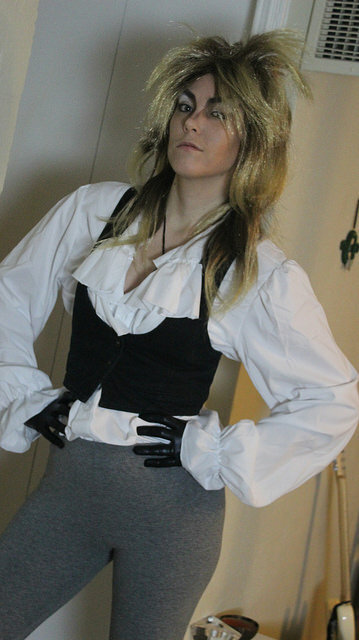 (AKA, the fastest and easiest Jareth look.) 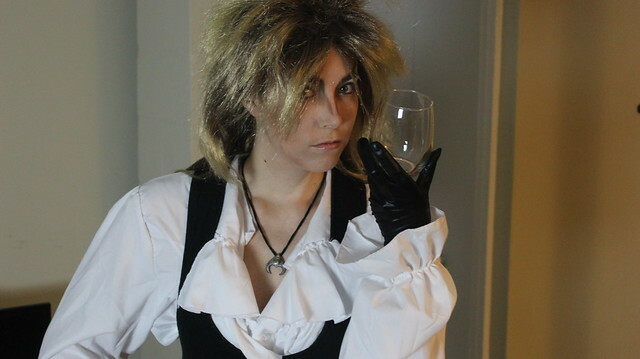 Also, someone at our Halloween party told me I have David Bowie-like features to my face which help sell the look. I don't know about that, but I am pretty proud of the makeup job I did. (I tried countoring on a non-Cats look!) 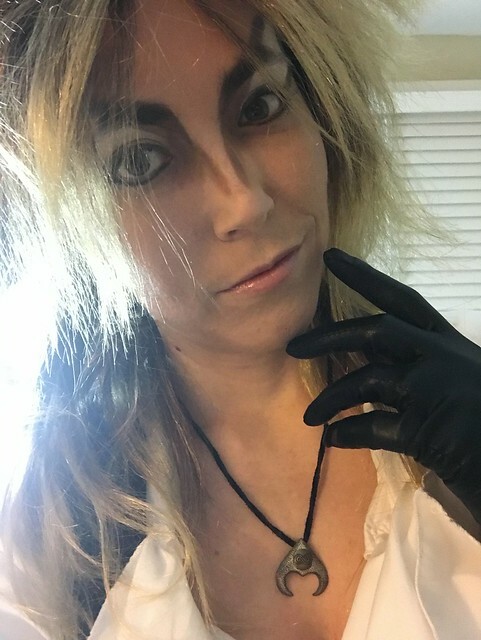 I'd love to hear your thoughts on my costume in the comments below. Happy Halloween!